The village of St. Magdalena in the Funes valley is the perfect choice for your winter-holiday: the small skiing area “Filler” is located in the heart of the village, appreciated a lot by families thanks to its family-friendly and easily surveyable slope. 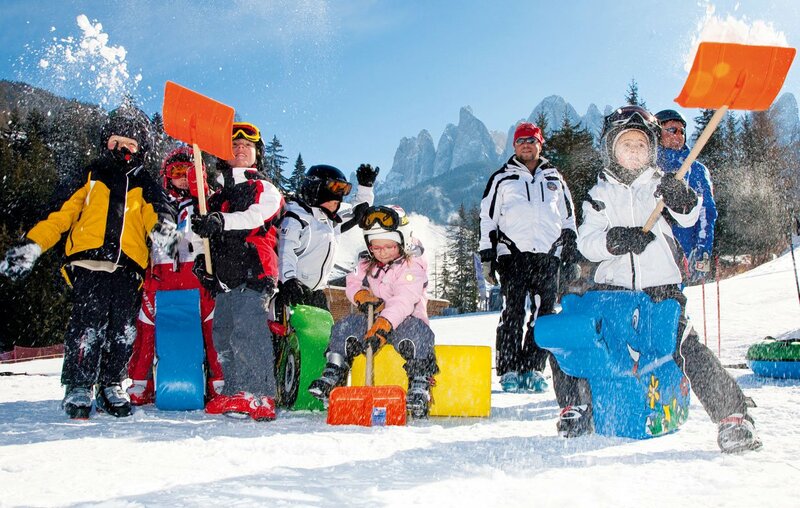 There’s also a little Snow Fun Park with toboggans and snow tubes for the children. 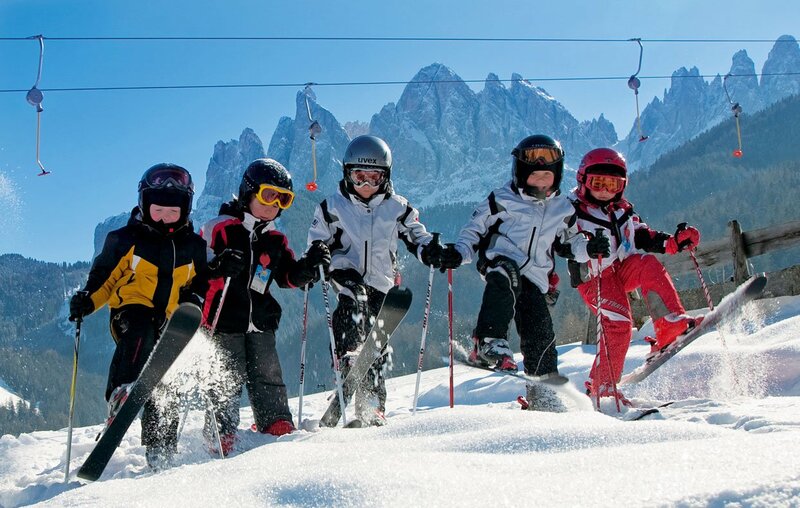 You don’t have to bring your own ski-equipment: The Funes’ ski school offers a rental service. 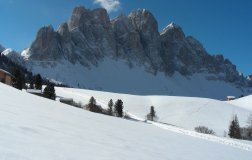 For a change you can visit one of the nearby skiing areas, such as Plose, Gitschberg-Jochtal, Seiser Alm or Rosengarten-Latemar. 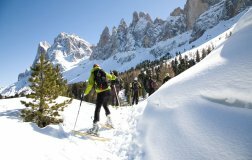 What could be better than a snowshoe-walk through a snow-covered landscape looking at the ice-sparkling mountain peaks? 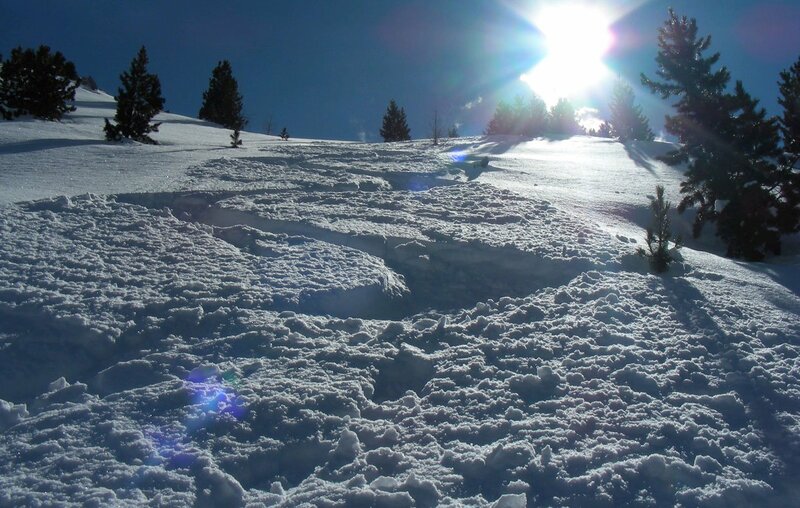 At the baby-ski-lift in St. Magdalena you can rent your snowshoes and hike on groomed trails through magical woods and on snow-covered meadows. Guided snowshoe-walks take place regularly. 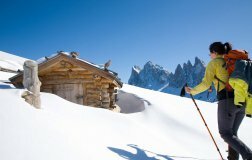 If you prefer discovering the winter-landscape on skis, enjoy the relaxing silence on a ski tour. 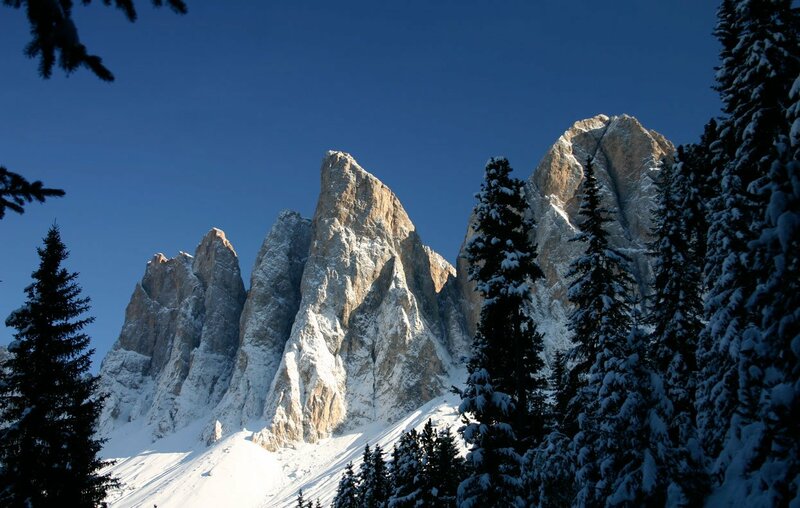 With the proper equipment you’ll explore the most beautiful tours of the valley, such as Laite Va Piz, Zendleser Kofel, Gabler and Bronsoijoch. 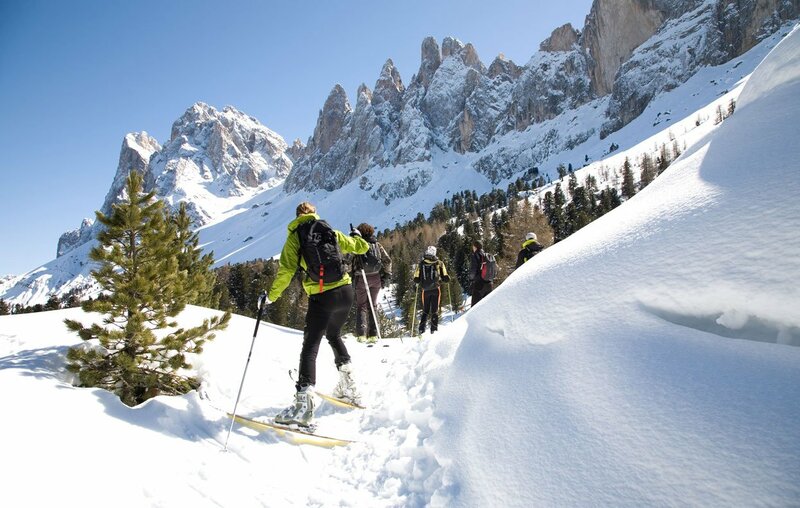 Another possibility to enjoy the winter wonderland and to do something good for your body is cross-country skiing. 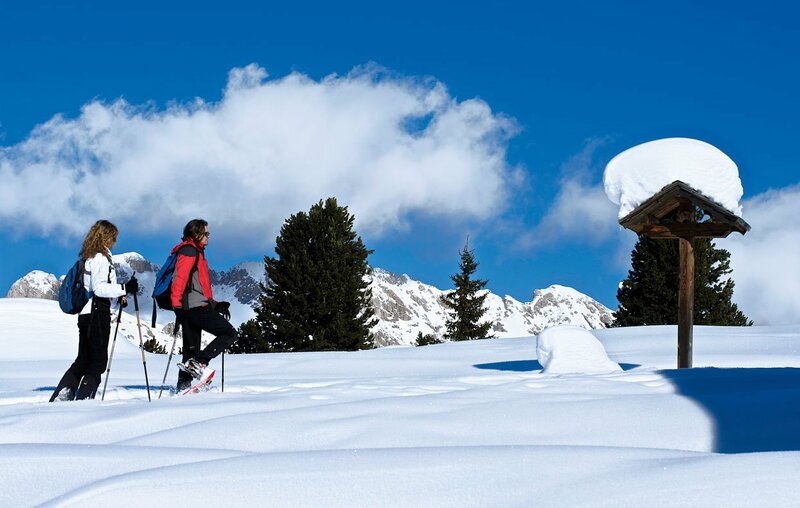 20 km of perfectly groomed cross-country ski-tracks through the romantic and snow-covered landscape suited to beginners as well as pros: Zanser Alm-track and “Russis – Halslhütte – Würzjoch”-track. The cross-country ski-equipment can also be rented at Sport Schatzer in St. Magdalena. A hike in the snow with an ensuing descent by toboggan is an essential activity during your winter-holiday in the Dolomites – especially your children will love it! 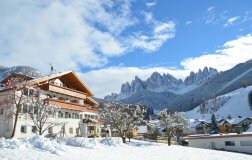 Enjoy the winter-wonderland and the snow and take a break to warm yourself up and enjoy some traditional dishes in one of the cosy huts. 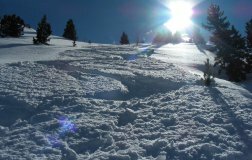 There are different toboggan runs in Funes valley – and all of them guarantee a lot of fun: the natural runs Tschantschenon – Zanser Schwaige, Kaserill Alm – Zanser Alm and Gampen Alm – Zanser Alm, as well as Geisler Alm – Ranui and Geisler Alm – Zanser Alm. During wintertime, especially around Christmas, there are a lot of traditional celebrations you can take part in and enjoy the romantic atmosphere. In St. Peter, for example, there’s a traditional parade for S. Nicolaus and the “Krampus” (devils) around the 6th of December. Thanks to your DolomitiMobil Card you can visit the Christmas markets in Brixen/Bressanone and Klausen/Chiusa, enjoy the special Christmas spirit, admire traditional crafts and find souvenirs or gifts for your friends and family, which will always remind you of your special holiday.